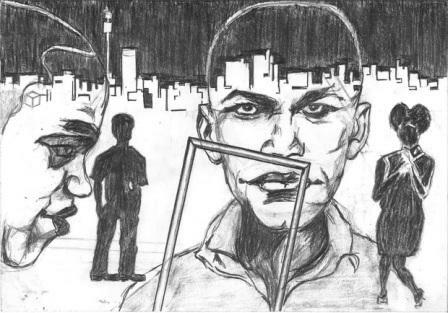 What is the meaning of art in the South Africa of the 21st Century? Wesley Pepper is answering that question by doing art, not theorising about it. Province of South Africa in July 1978. 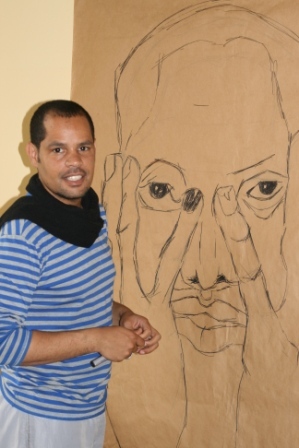 He studied art, majoring in oil painting and drawing, at the Free State Technicon in neighbouring Bloemfontein before moving to Port Elizabeth where he studied computer graphics at a Further Education and Training (FET) college, before moving on to Cape Town. After a short stay back in Kimberley where he was active in an arts-and-crafts collective Pepper moved to Johannesburg in 2002. “I sold a piece within five hours of arriving here,” he says with characteristic enthusiasm. 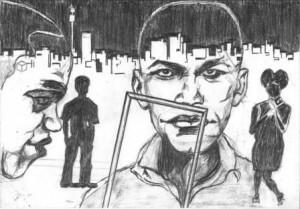 He would like with his art to challenge the conservative world-views of many South African communities with regard to art, the conservatism of blue suits and ties! The challenge Pepper makes is through his engagement, through postering and workshopping, through involvement with other artists, musicians and writers. “I call my art ‘open spaces’ coz exactly of that, I involve myself in various spaces and my art is about what I experience,” says Pepper. 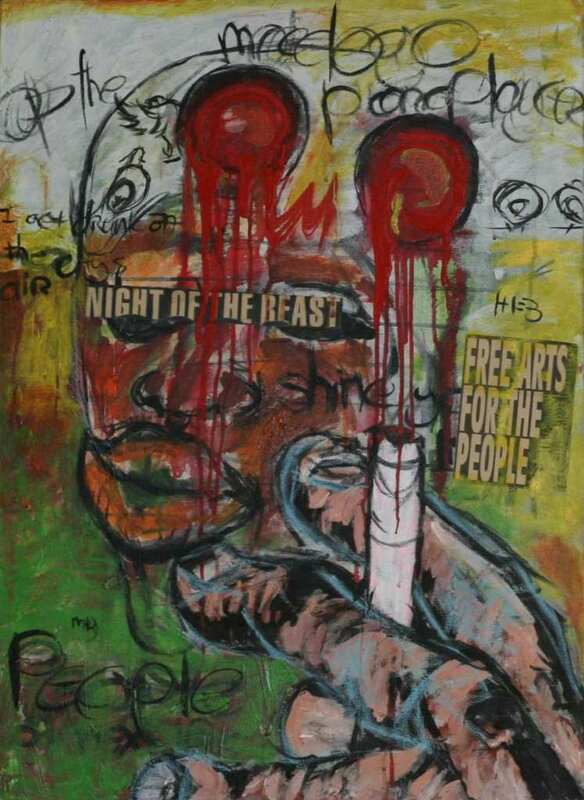 Together with local writers Pepper has produced three collections of poetry for which he has provided art works. 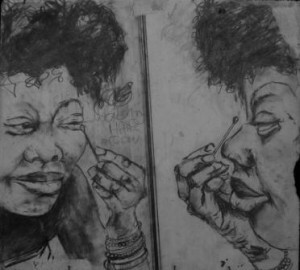 He has also facilitated creativity workshops and been involved with artists’ collectives. “I love organising people,” he says. The collective with which he is currently involved is planning a large exhibition for 2013 – which he says will take art out of the gallery and into the street. 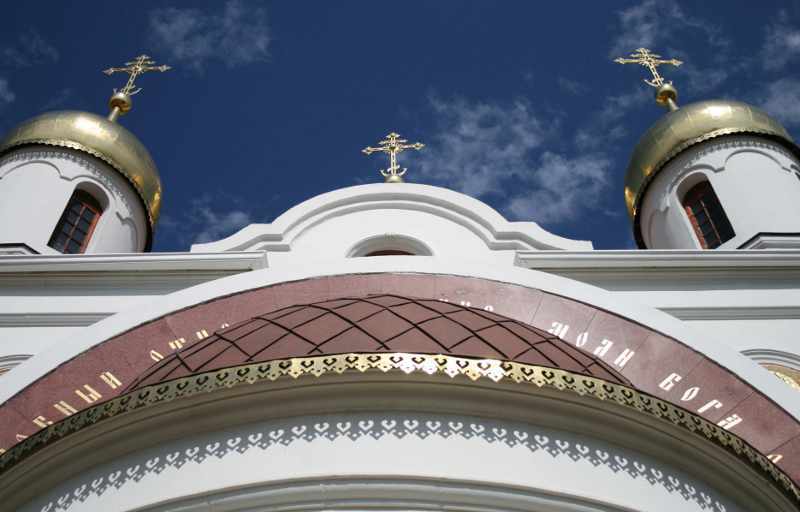 Gleaming golden onion-shaped domes are not common sights on the Highveld – or anywhere else in South Africa, for that matter. 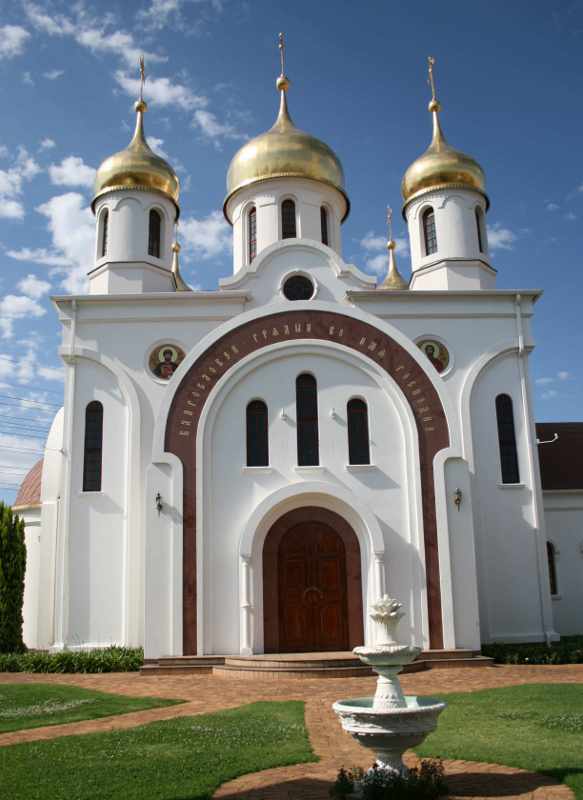 The ones that caught my eye while driving from Pretoria to Johannesburg on the N1 highway one day belong to the parish church of St Sergius of Radonezh in Midrand, Gauteng, and I could not ignore their call though I had no idea what these strange visions were until I went closer. 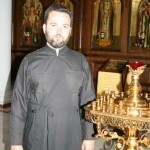 I found the church and met the parish priest, Fr Daniel Lugovoi, who told me something of the history of this beautiful church. 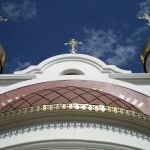 The church, which was designed by well-known (in Russian circles at least) St Petersburg architect Yuri Kirs, was completed in 2003 and consecrated for worship on 2 March of that year. It was built by local builders under the supervision of the architect. building in South Africa and serves about 200 people from the Commonwealth of Independent States who now live in the country. 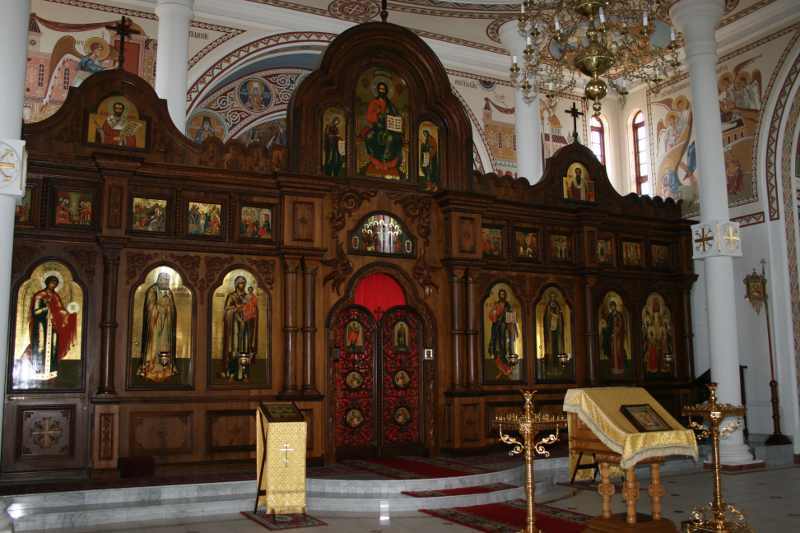 It falls under the ecclesiastical jurisdiction of the Patriarchate of Alexandria in Egypt. The church is dedicated to much-loved St Sergius of Radonezh, a 14th Century saint who did much to reform the monastic tradition in Russia and whose feast day is 25 September. 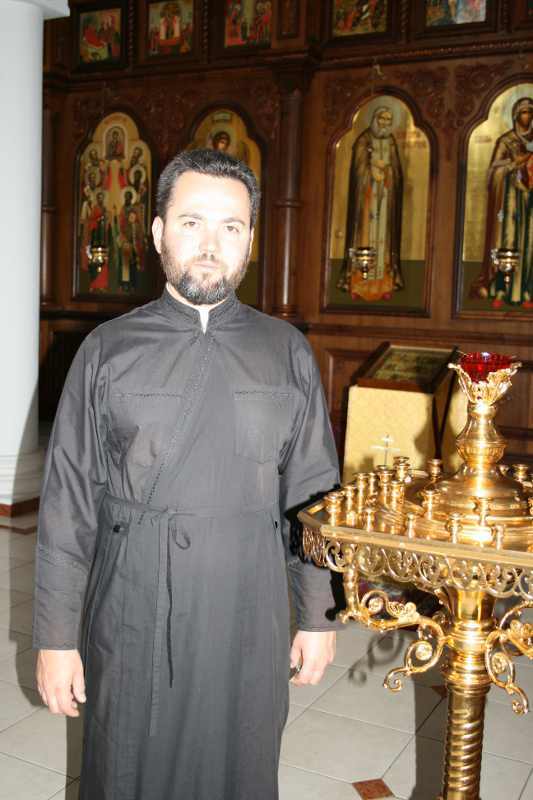 Fr Lugovoi, who has been the priest in charge since January 2010, trained at a seminary in Moscow, his home town. 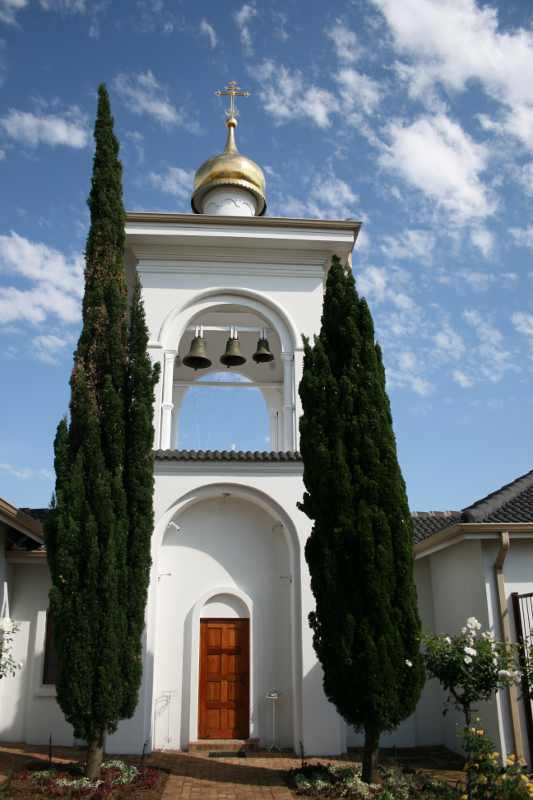 Russia and the United Arab Emirates and supervised the refurbishment of many churches in and around St Petersburg, designed this church to include homage to both the culture and history of the Russian Orthodox Church and this particular church’s home in South Africa. 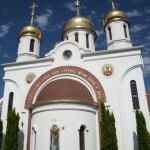 His design of this church won him the Order of St. Daniel of Moscow. 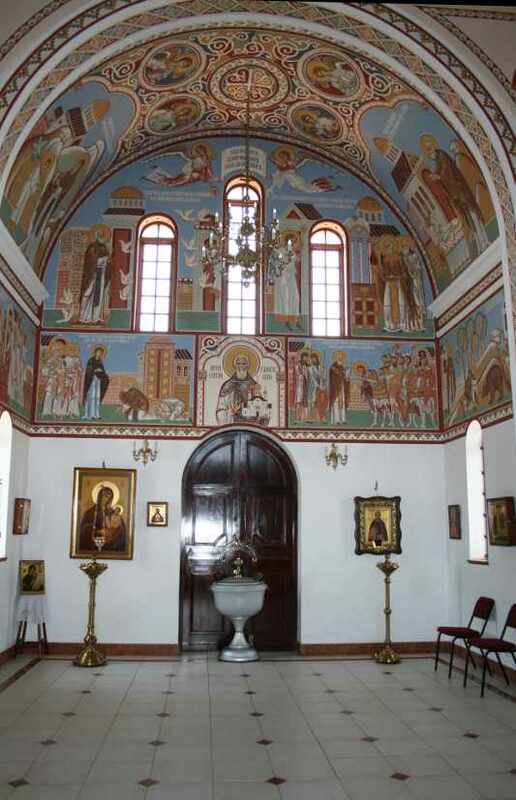 The church has a character of simplicity in its white walls and yet with great attention to detail in the many artistic features such as the mosaic icons on the exterior walls and the calligraphy decorating the exterior vaulting. 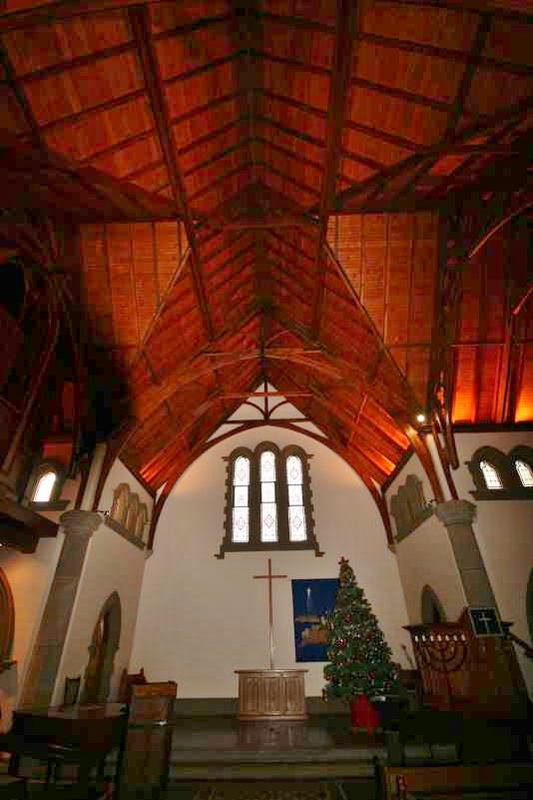 The nod to South Africa’s history is found in the Cape-Dutch-style “gables” just above the roof line of the vaults. Inside the church seems much more spacious than one expects, due to the light and airy space created by the central dome and the light pouring in through the windows in the tower above it. 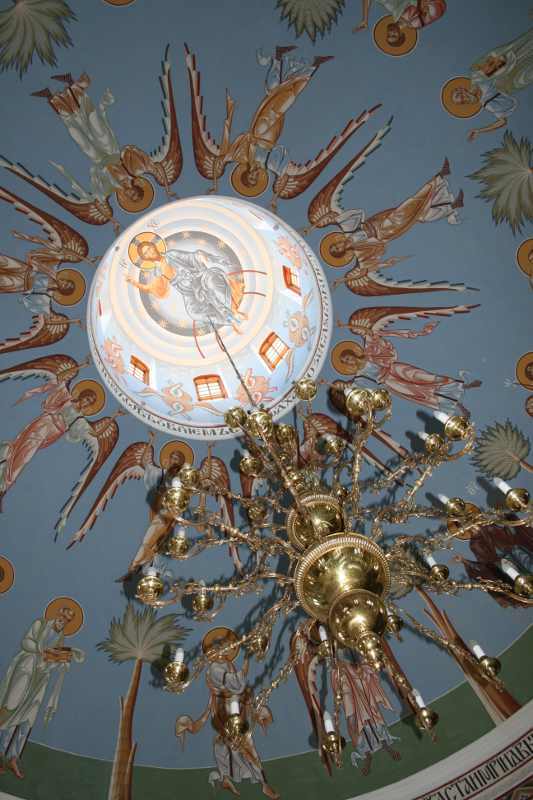 At the top of this lantern tower is the icon of Christ Pantokrator – the Creator of everything. 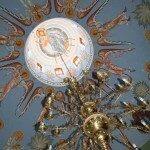 and other details, was also created by Russian craftsmen. 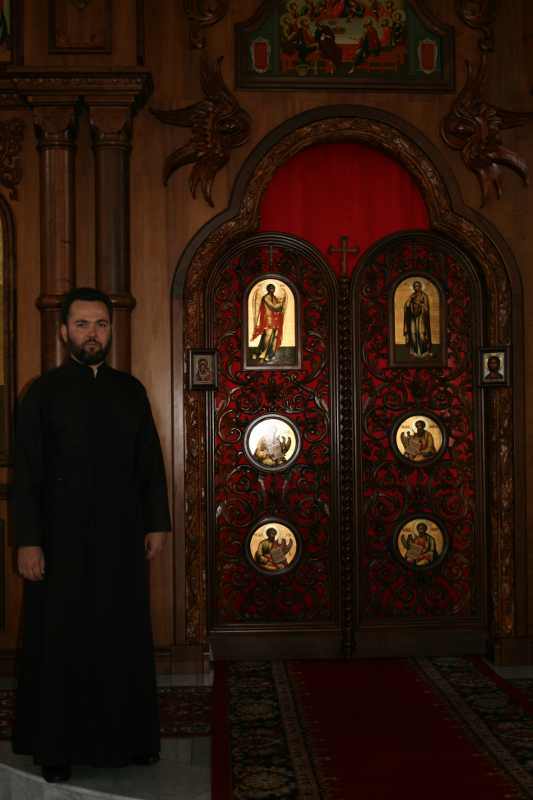 Dominating the interior is the dark imbuia iconostasis with its many bright icons and beautiful carved details. The contrast between the dark wood and the brilliant colours of the icons creates a rich texture which itself contrasts with the overall simplicity of the building. 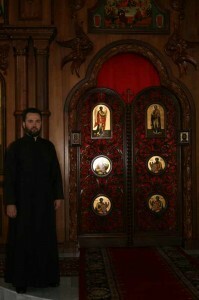 In the centre of the iconostasis (also called the templon) is the double door known as the “beautiful gate” through which only clergy may pass into or out of the sanctuary which is behind the iconostasis in the eastern arm of the cruciform building. Doors at each end of the iconostasis are known as angel or deacon’s doors and allow acolytes and deacons access to the sanctuary. 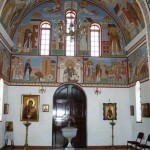 Viewed from the nave the icon to the right of the beautiful gate is of Jesus and the icon to the left is of the Theotokos or Mother of God (the Virgin Mary) holding the infant Jesus. Surrounding the church are well-kept gardens and a building which houses a church hall and bell tower to the west of the church. 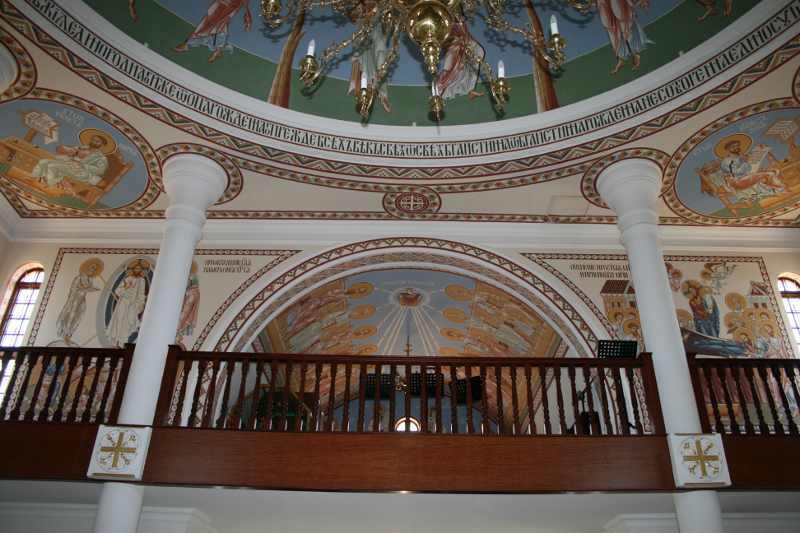 Altogether this church is an embodiment of harmony between art, culture and spirituality, every element designed in detail to contribute to an uplifting experience for the church-goer. A gallery more oif of my photos of this lovely church can be found here. 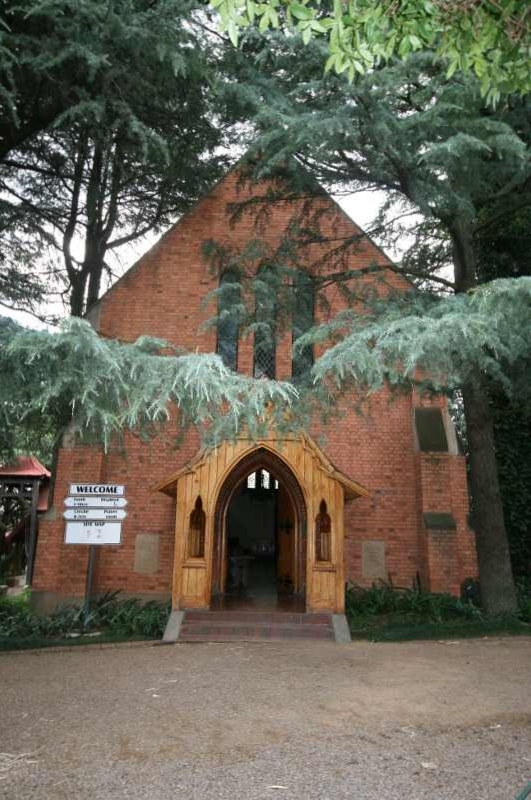 Echoes of a Victorian theological controversy which played out in the British Natal colony are heard in the Presbyterian Church of St Saviour’s in Midrand, Gauteng. In 1853 Anglican divine and mathematician John William Colenso was appointed Bishop of Natal by the then Metropolitan Bishop of Cape Town, the Right Reverend Robert Gray. 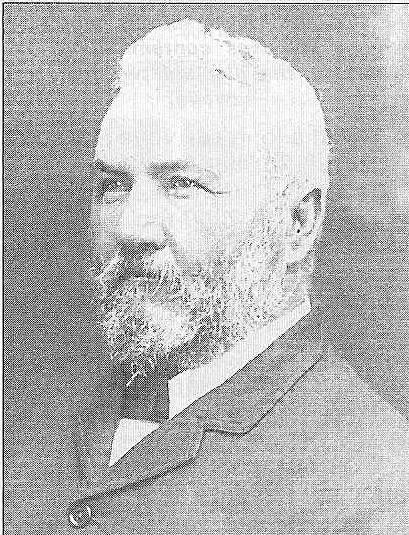 Colenso came to his new bishopric, centred on St Peter’s Cathedral in Pietermaritzburg, in 1854 and was quite soon involved in controversy around two issues – the first was his liberal interpretation of certain Biblical texts and the second was his, for the times, radical approach to the black people of the colony, the amaZulu of King Cetewayo kaMpanda. liberalism, brought him notoriety (or fame, depending on one’s point of view) throughout the English-speaking world. The High Church party in Britain was particularly worried about the theological and political ramifications of Colenso’s opinions and Gray in December 1863 deposed Colenso after a church trial for heresy. Colenso successfully appealed against this action but he was opposed by the Dean of his Cathedral, Dean James Green who on Colenso’s return left St Peter’s with his followers and set up a parallel Church in St Saviour’s in 1868. Another Bishop was appointed by Gray, Bishop W.K. Mcrorie, who took his throne in St Saviour’s. 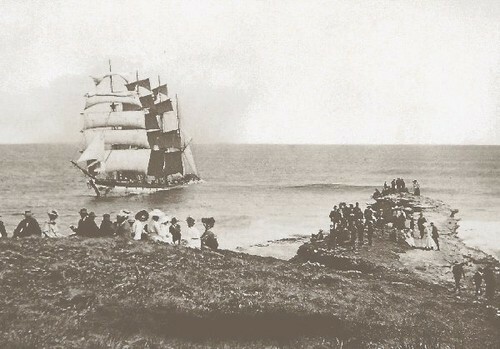 Thus for a number of years there were two Church of England dioceses in Natal Colony, a situation which only came to an end after Colenso’s death in June 1883. 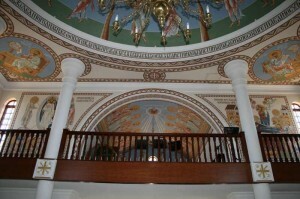 Looking up the nave towards the sanctuary. 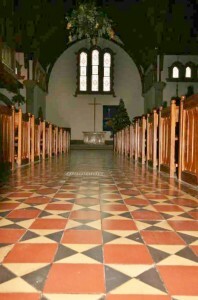 The two church buildings however continued to function, with St Peter’s being an ordinary parish church, until St Saviour’s was de-consecrated in 1976 and set for demolition in 1981. 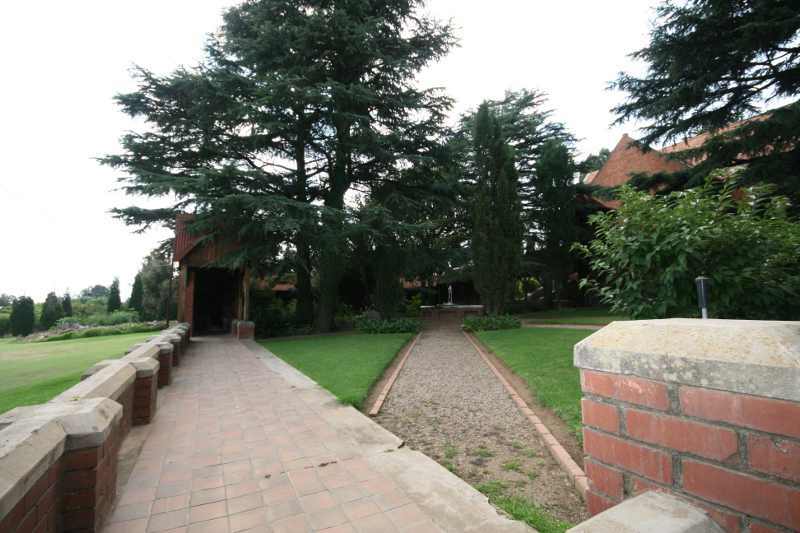 Two men associated with the development of a residential township on the historical former farm Randjesfontein in Midrand, Gauteng, Charles Lloys Ellis and Keith Parker, heard of the imminent demolition of St Saviour’s and decided to buy the sanctuary, transepts, nave, chapter room and library and transport the fabric to Midrand. 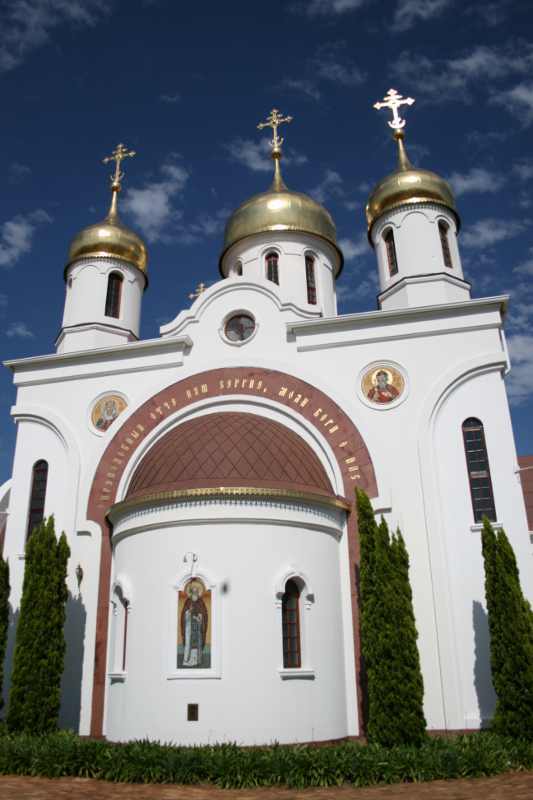 Here the former Cathedral was re-built under the guidance of architect Robert Brusse. 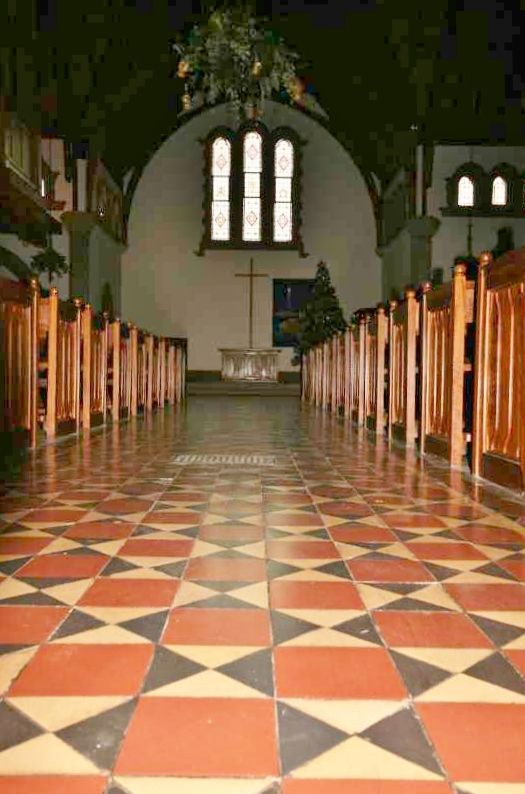 The re-constructed church is beautifully simple and elegant, retaining much of the Victorian Gothic of the original. 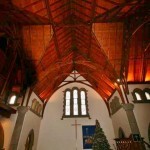 The roof is high with lovely Gothic-style trusses and the floor of red tiles is also remarkable. On one side of the nave is an organ loft and on the other a small baptistry chapel. 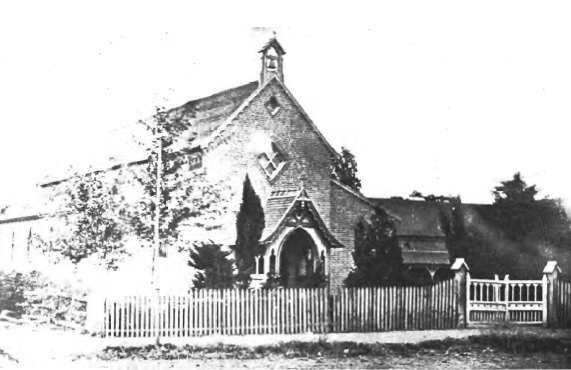 The entrance to the church looks still very much as it did in 1870. St Saviour’s, Randjesfontein, was consecrated for worship on 16 May 1985 – appropriately, the Feast of the Ascension. 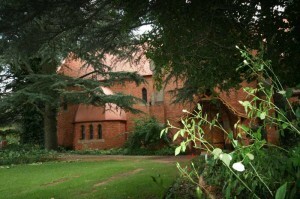 The church is surrounded by beautifully-maintained gardens shaded by high conifers. 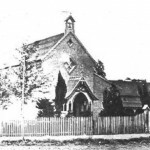 The building is still privately-owned and is rented to the Midrand Presbyterian Congregation. 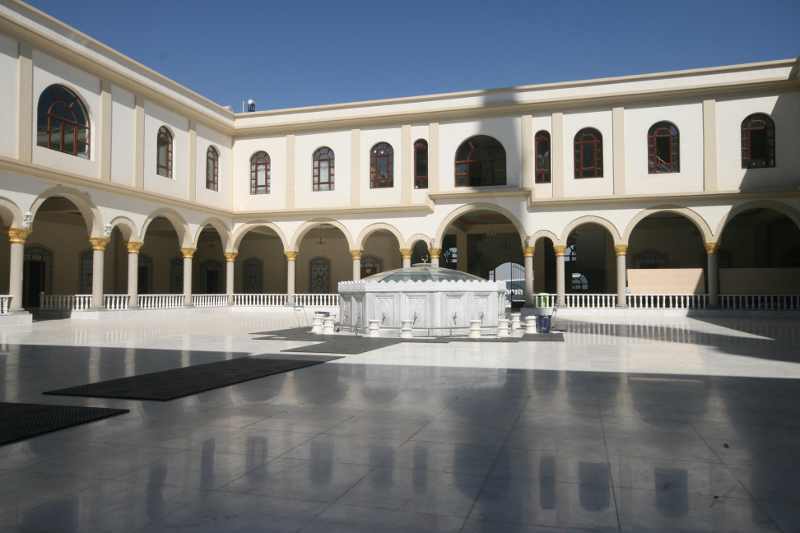 The beauty of the building has also ensured that is popular as a wedding venue and a venue for musical recitals and other cultural activities. A gallery of more of my photos of this beautiful church can be found here. 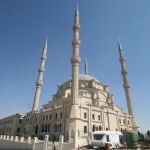 Travelling north on the N1 highway from Johannesburg to Pretoria a sight can be seen which might have students and lovers of architecture rubbing their eyes – a three-quarter replica of the famous Selimiye Mosque in Edirne, Turkey, stands on a rise to the east with its four tall minarets like rockets ready for launching into space standing around an imposing dome. 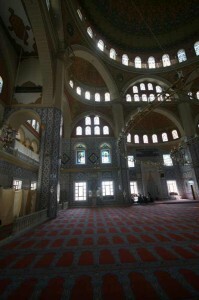 Built in a period of 2-and-a-half years the Nizamiye Mosque was constructed by some 300 workers from South Africa and Turkey and is the result of the generosity of an anonymous man from Istanbul who wanted to build a masjid where the Ottomans had been unable to – in the Southern Hemisphere. The building was supervised by South African architect Ahmed Shabbir Bham and follows the style of the original, which was designed by famous Turkish architect Mimar Sinan (c1490 – 1588) in the late 16th Century. 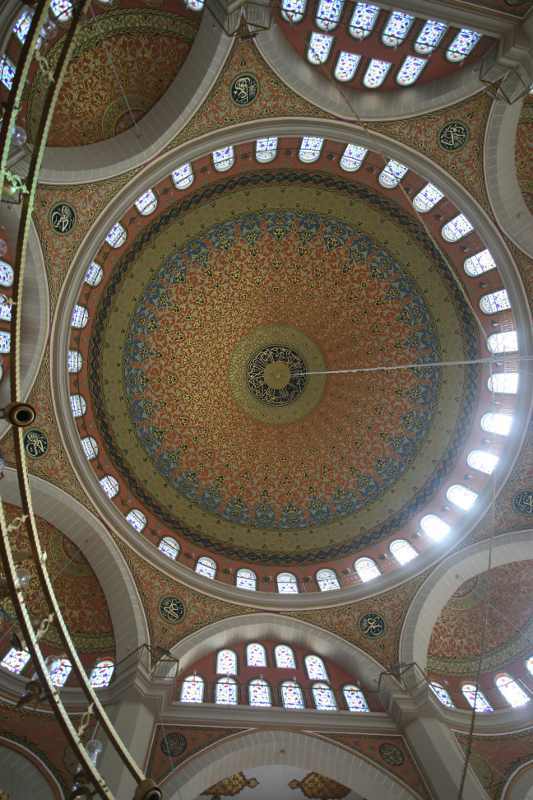 He set out in the design of the Selimiye Mosque to disprove a saying common among architects in the Ottoman Empire: “You can never build a dome larger than the dome of Hagia Sophia and specially as Muslims“. Sophia and is characterised by a sense of airy space due to the positioning of the interior supports close to the walls. “The sense of unity is likewise emphasised on the exterior by the placing of four high minarets close to the rising mass of the central dome,” – from the Macmillan Encyclopedia of Architecture & Technological Change (London, 1979). 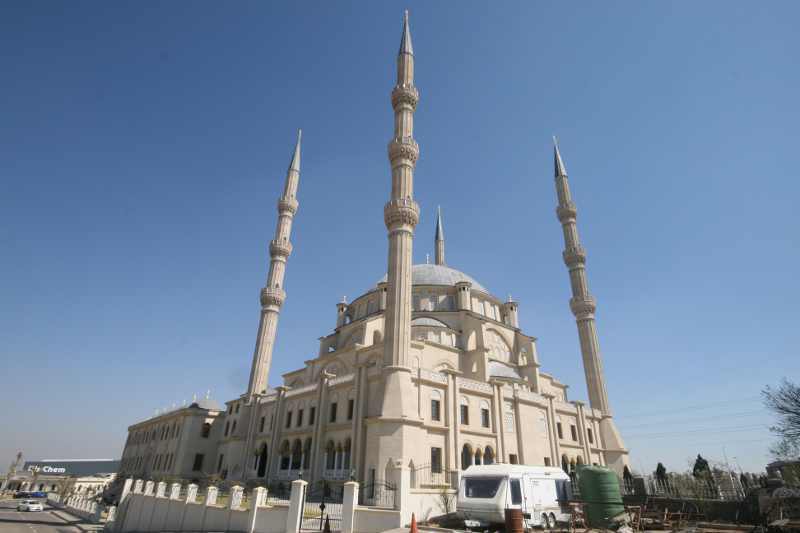 The minarets of Nizamiye are 55 metres high while those of the Selimiye are 83 metres. The dome of Selimiye is 83m high and that of Nizamiye is 62.25m. The materials used in the construction of Nizamiye Mosque were locally sourced except for some specialised items such as the tiles, marble and carpets used. 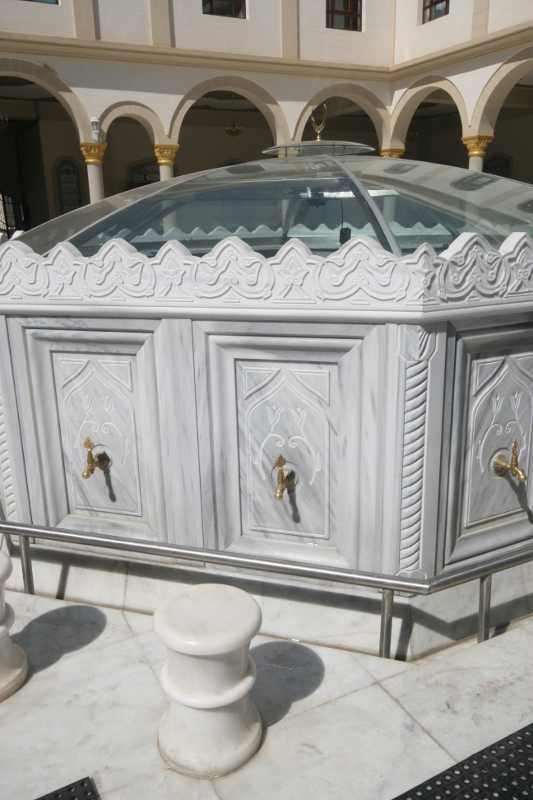 The workers recruited from Turkey were specialists in calligraphy, art and marble work. I asked Orhan Celik, director of the Aksan Property Development company why Midrand was chosen as the site for this imposing building and he told me it was because it was the only place they could find appropriate land of the required size located close to a city. “Also Midrand is half way between Pretoria and Johannesburg and it is the seat of the African Parliament, so it has historical significance too,” he added. 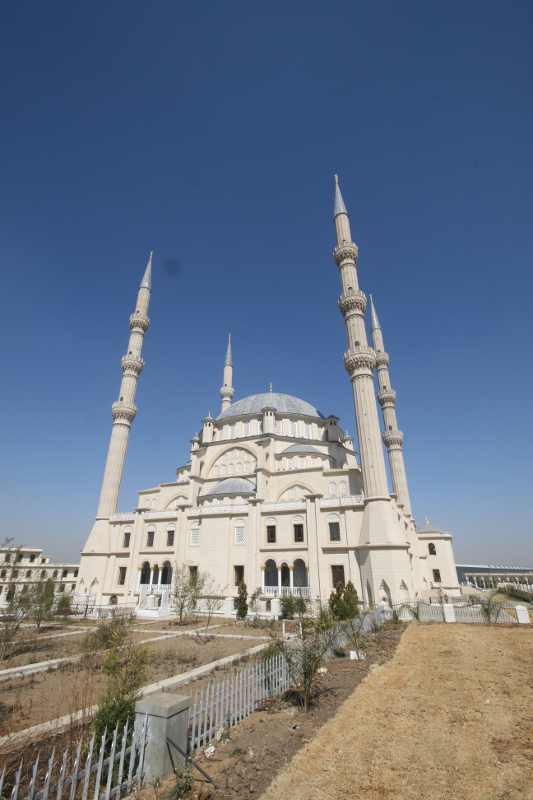 Like its model in Turkey, Nizamiye Mosque stands in a külliye, a complex comprising a school, shops and a clinic. 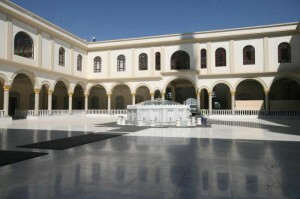 The courtyard of the mosque. A huge banqueting hall is underneath this marble paving. to 1000 guests. 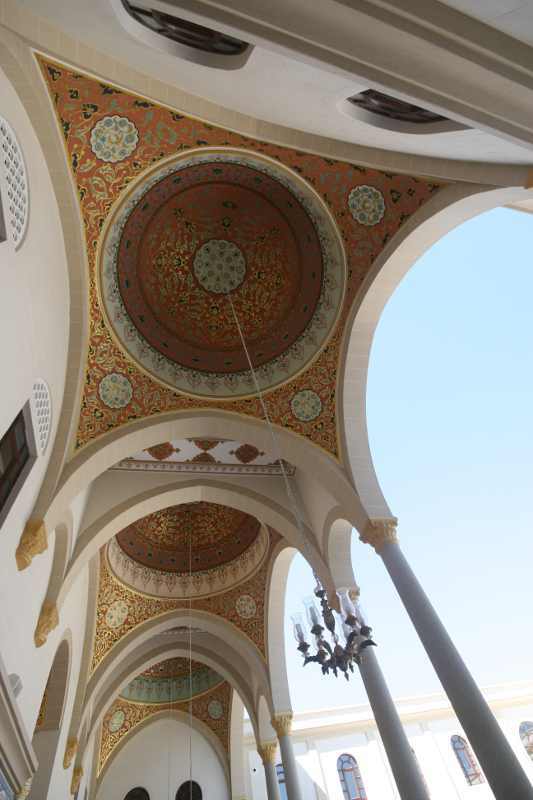 In the centre of the courtyard is an ablution facility (wudhu khana) topped by a skylight for the hall below. All worshippers who wish to enter the masjid need to do wudhu before entering. This is a ritual cleansing involving the intention to cleanse oneself and then washing the hands, face and feet, often accompanied by recitation of the Bismillah (in the Name of God). place provided for the shoes to be kept while the worshipper is inside the prayer hall. which there is no door. The direction of the Kaaba in Mecca is also indicated by the mihrab, an alcove in the qibla wall. This wall is at right angles to a line leading to Mecca. Also against the qibla wall is the minbar or pulpit from which important prayers will be led by an imam or other spiritual leader. 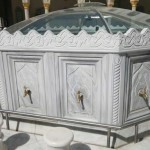 In the Nizamiye the minbar is raised quite high and is very ornate. further than if he were standing on the roof of the mosque. Certainly from a distance the minarets of Nizamiye are striking. 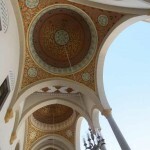 The mosque is due to be opened officially on 4 October 2012. A gallery of my photos of this magnificent mosque is available at https://picasaweb.google.com/108214824979962624680/NizamiyeMosqueMidrandSouthAfrica. Please feel free to visit! “A picture is worth a thousand words” – this is a popular and frequently-heard saying. And yet it cannot be taken at face value. Philosophers and artists have during the past hundred years or so argued about the purpose and content of art, ever since art theoreticians like Roger Fry, Clive Bell and Herbert Read contended that art should not convey any message other than the formal contents of the work of art itself, the form, line, colour, texture of the work itself. These three philosophers of art were reacting to the extreme sentimentalisation of art of the Victorian era, where art became the servant of “prettiness” and bland subjects that did not require any depth of thought but just a superficial reaction of pleasure, much like what we would today call “comfort food” gives us when eaten – no nourishment for body or mind, just a pleasant taste. Which brings us to the question of the “purpose” of art – or does it not have any purpose outside of itself? What would life be like without beauty around us? What is beauty? Indeed there is also the question, “Is art good for us, or bad for us?” The Puritans and some fundamentalists would argue that art is a distraction which takes our minds of the serious business of life, and feel this so strongly they would ban it from any places where this seriousness is pursued, like places of worship or work. The answer given by such people gives us a clue that art has an impact, quite a big impact, on our lives. 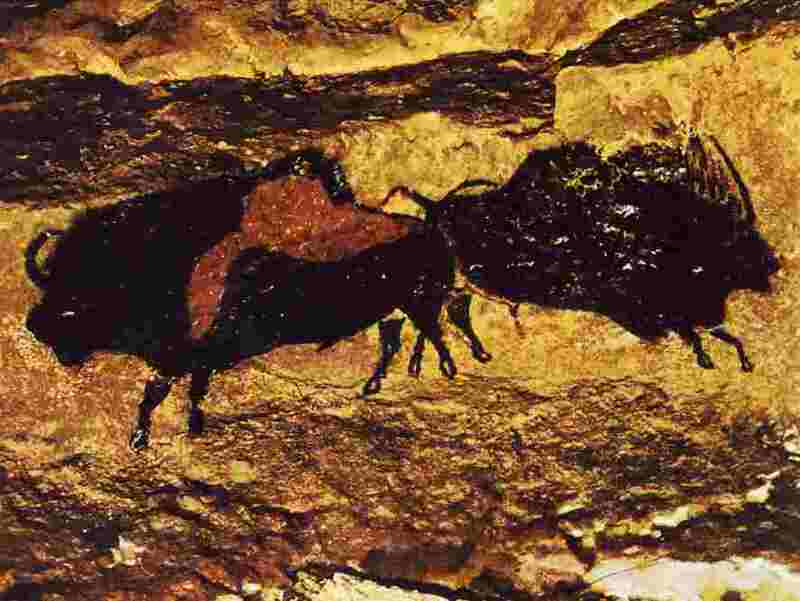 The earliest people made paintings and drawings of sometime haunting power on the walls of caves, depicting the life around them and their responses to that life, practical or spiritual. They clearly needed to surround themselves with these images, the images enriched their lives in some way, they invested these images with meaning which could not be gained in any other way. 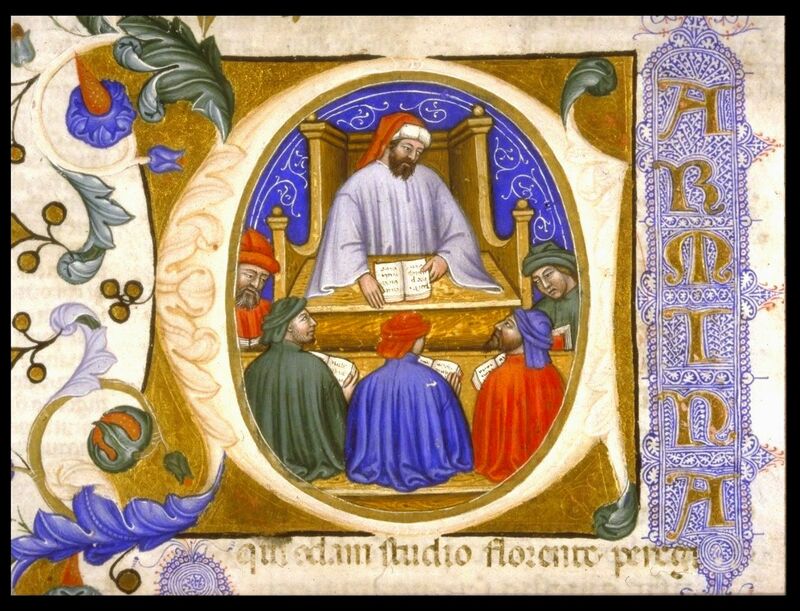 Likewise mediaeval monks in their monasteries created works of art in the manuscripts that they wrote out, embellishing the words with exquisite miniatures of scenes from life or myth, which added to the meaning of the words themselves. Clearly these monks in the otherwise austere lives found these embellishments not only added to the manuscripts but to their own lives as well. With the dawn of the modern era in the 19th Century art became more and more separated from this kind of context and came to be pursued as “art for art’s sake.” This is a concept which would have been unthinkable to the cave artists or to the monks creating those magnificent manuscripts. In the 20th Century this was taken to extremes, but perhaps necessary extremes, when one thinks about the poor, meaningless stuff that was favoured by the Victorians, the “comfort food” type of art. 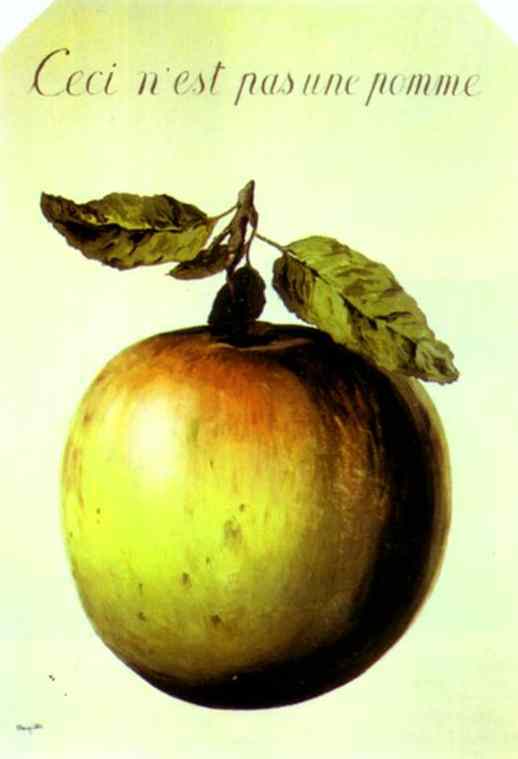 The ultimate challenge to the “comfort food” art was the art of the modernists like Hans Arp and the surrealists like Rene Magritte who painted a tobacco pipe and then labelled it Ceci n’est pas une pipe (This is not a pipe) and did the same with the painting of an apple. 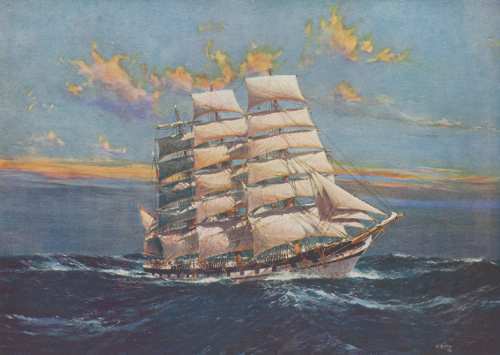 This is a direct challenge to the viewer’s normal interpretation of such a painting, or image. 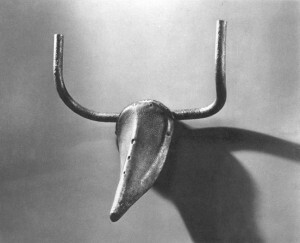 If asked, “What is it?” the viewer will naturally respond, “It’s a pipe.” However, clearly it is not a pipe. Asked about it the artist said “Try stuffing it.” It is an image and can be read in many different ways – it can be appreciated for the colours, the lines, the texture, the “feel” of it. But it cannot, ever, be used. Likewise the apple could never be eaten, only looked at. 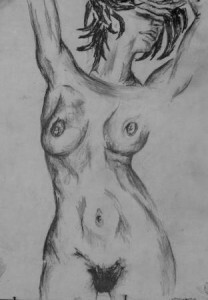 So what is meaning in art? Another artist, Paul Gauguin, painted a huge canvas which also took on the issue head on. 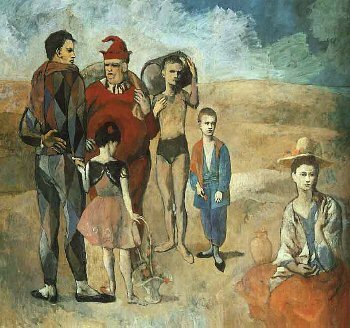 This painting is frankly philosophical in intent: “I have completed a philosophical work on a theme comparable to that of the Gospel,” he wrote to his friend Daniel de Monfried in 1898. He called the painting “Where have we come from? What are we? Where are we going?” and the painting was large, like its theme. It measured six metres in length and almost two metres in height. This painting would seem on the surface at least to be light years away from paintings such as those of Piet Mondrian, which are simply grids made on the canvas by lines of grey or black, with the spaces between filled with white or primary colours, seemingly at random. These paintings cannot be “read” like a story, so what are they about, what do they mean? Mondrian called his style “neo-Plasticism” and it related to the neo-Platonic “positive mysticism” of Dutch philosopher (Mondrian was also Dutch) M.H.J. 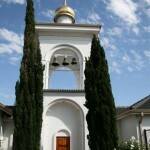 Schoenmaekers and the teachings of the Theosophical Society. This philosophy was an attempt to penetrate the reality behind nature and to give it expression. 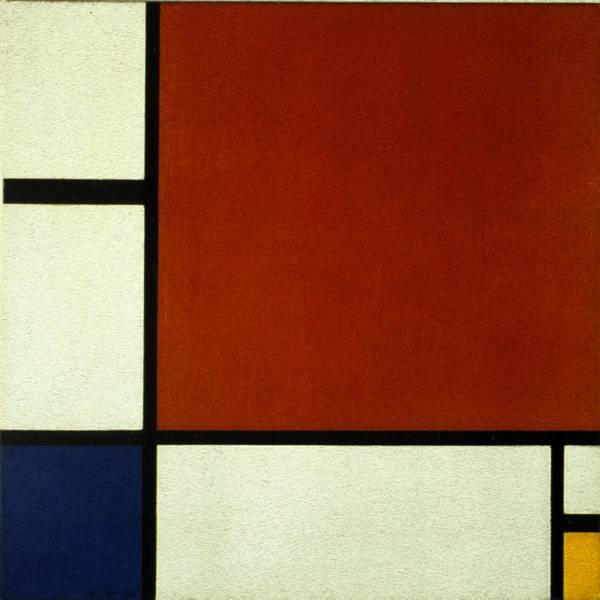 As Herbert Read said of Mondrian’s approach, “Art becomes an intuitive means, as exact as mathematics, for representing the fundamental characteristics of the cosmos,” (in A Concise History of Modern Painting, Thames and Hudson, 1959). 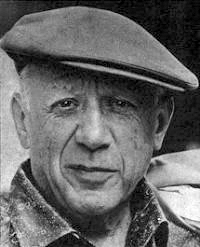 So while the surfaces of the two paintings are worlds apart, the meaning coming from the intentions of the artists can be seen to be related, in that both artists saw their works as having a spiritual dimension, the meaning was external to the painting, though neither literal nor literary. 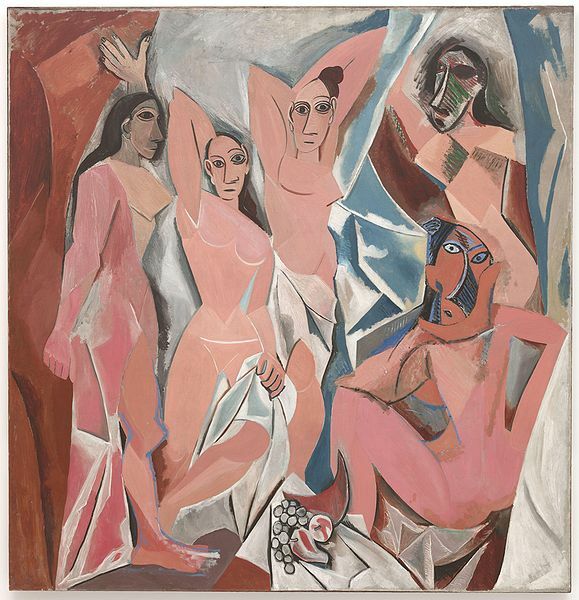 The paintings referred to no external “Gospel” or myth, but to the understanding of the artist. 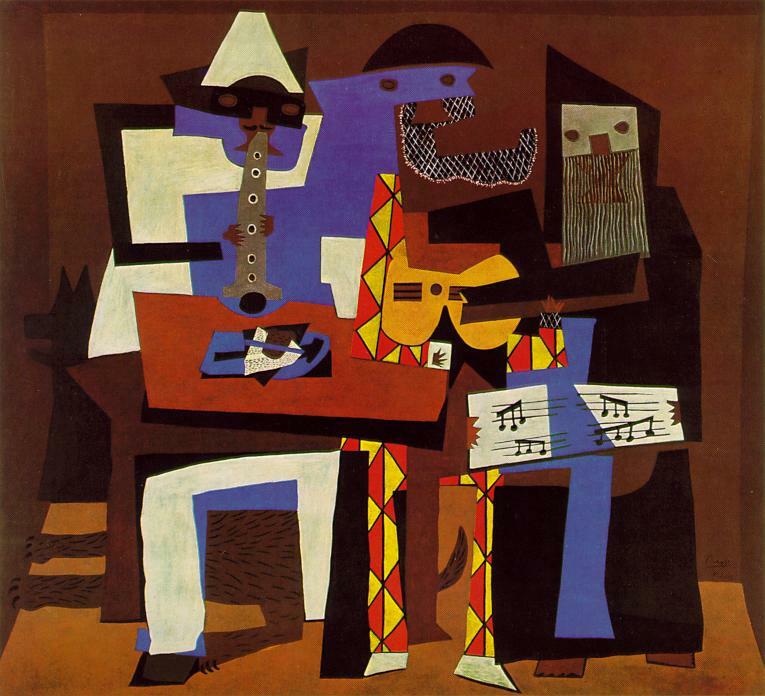 The viewer’s life and understanding is therefore enriched by contemplating the work of art and connecting his or her experience and situation to that of the artist. This is no “comfort food” but good, wholesome, hearty fare, well-cooked and needing to be thoroughly digested for the goodness to be available to the consumer. And like such wholesome food, time and effort put into the contemplation is rewarded with a sense of completion, of healthy and lasting fullness, quite different from the quick and transient satisfaction which comes from “comfort food”.